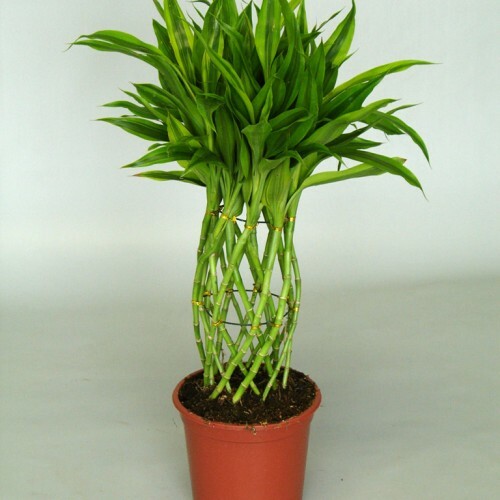 The Dracaena Sanderiana is from China and Japan and has an unique braided trunk. 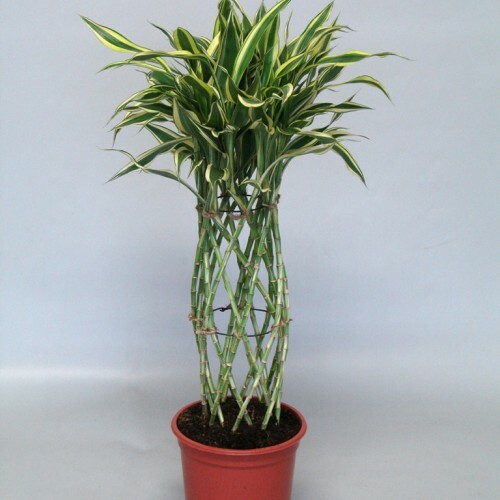 It belongs to the Bamboo family that is why its nickname is lucky bamboo. 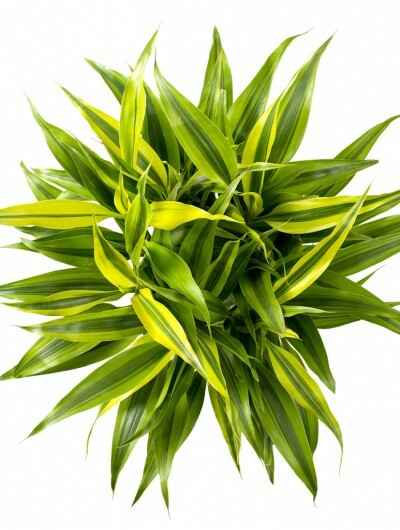 The ideal temperature is 18-22ºC. 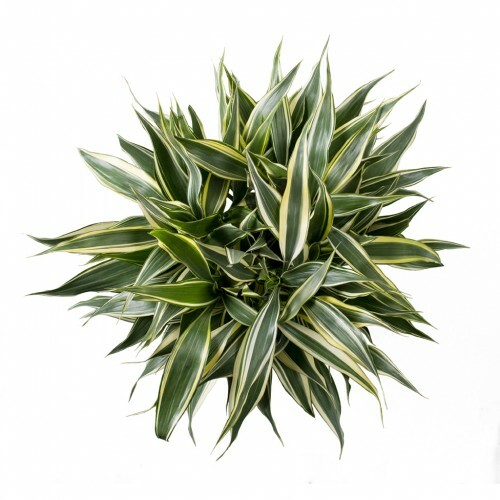 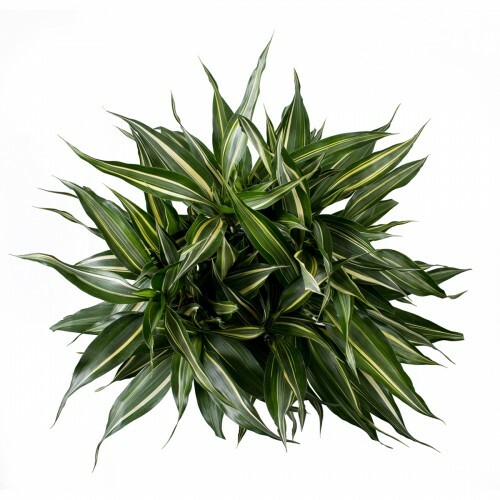 Care tips: The Dracaena Sanderiana prefers to be in half shadow with a temperature of 18-22ºC. 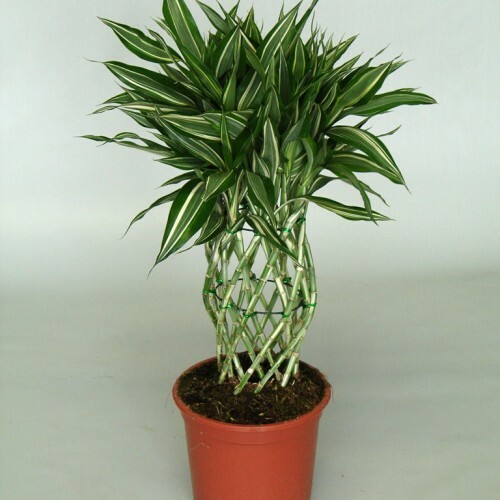 Water regularly, twice a week. 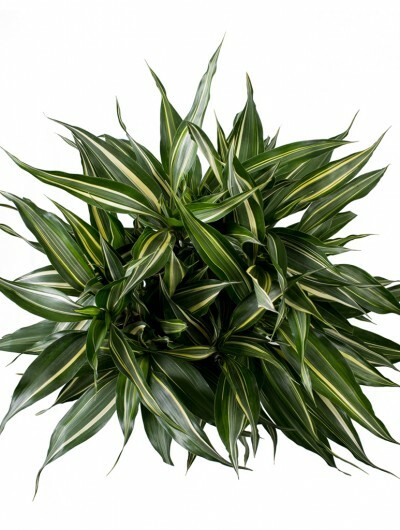 It does not like dry feet. 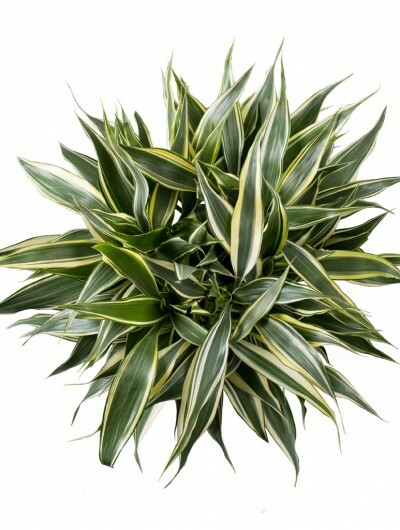 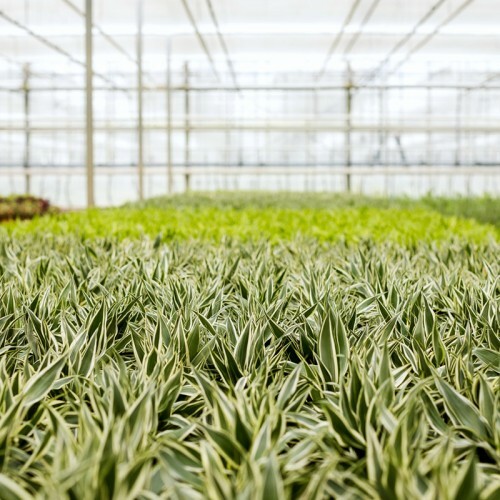 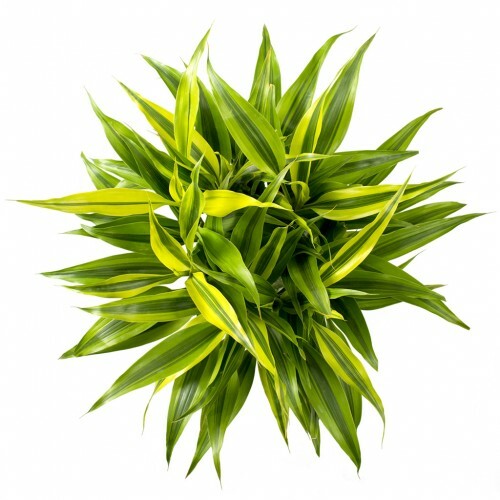 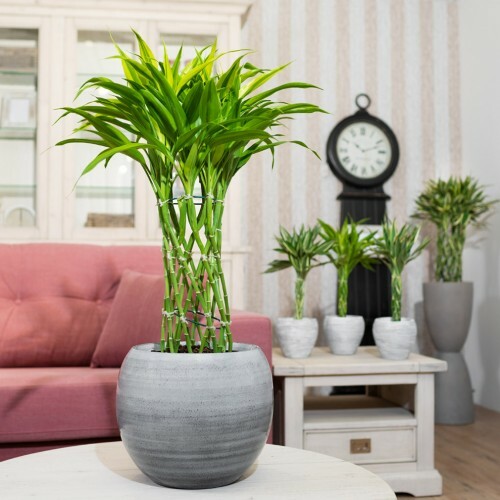 In order to keep the beautiful colour of Dracaena, it must be fertilized twice a month.